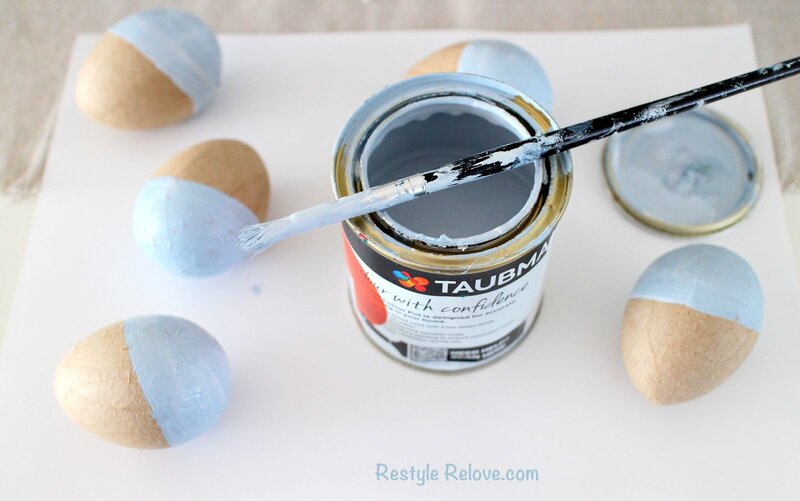 These appear to be paint dipped eggs, but really the dipping is done with a paint brush. 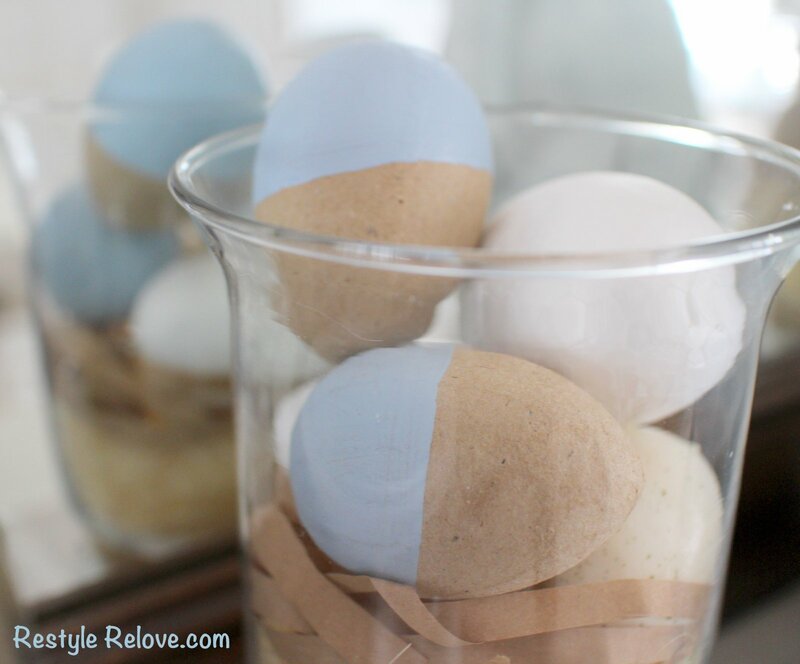 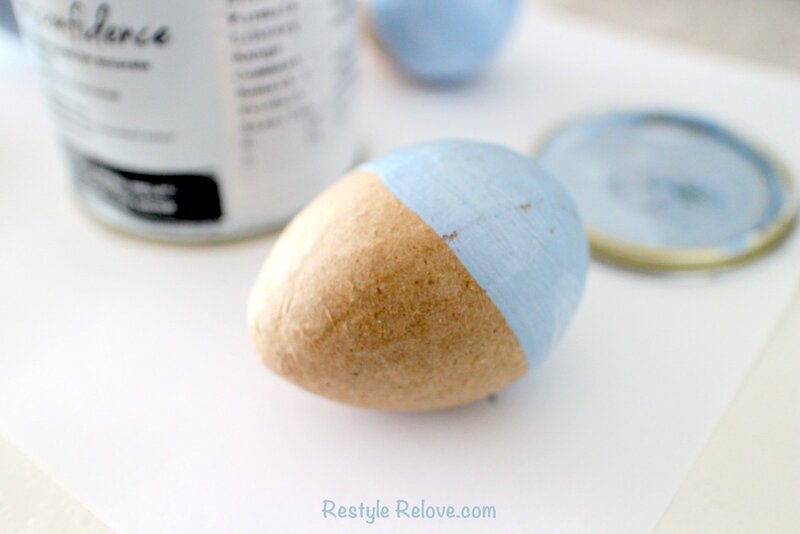 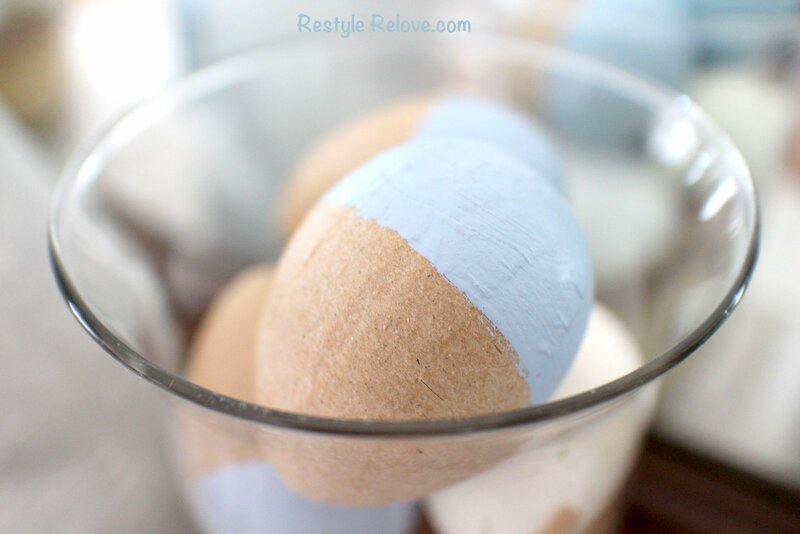 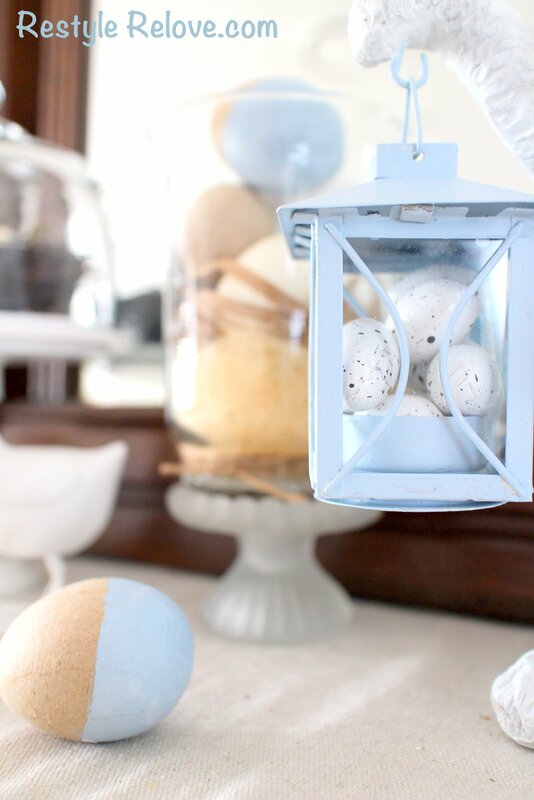 I used my light blue paint and painted a line to make the eggs look like they had been dipped slightly on the diagonal. 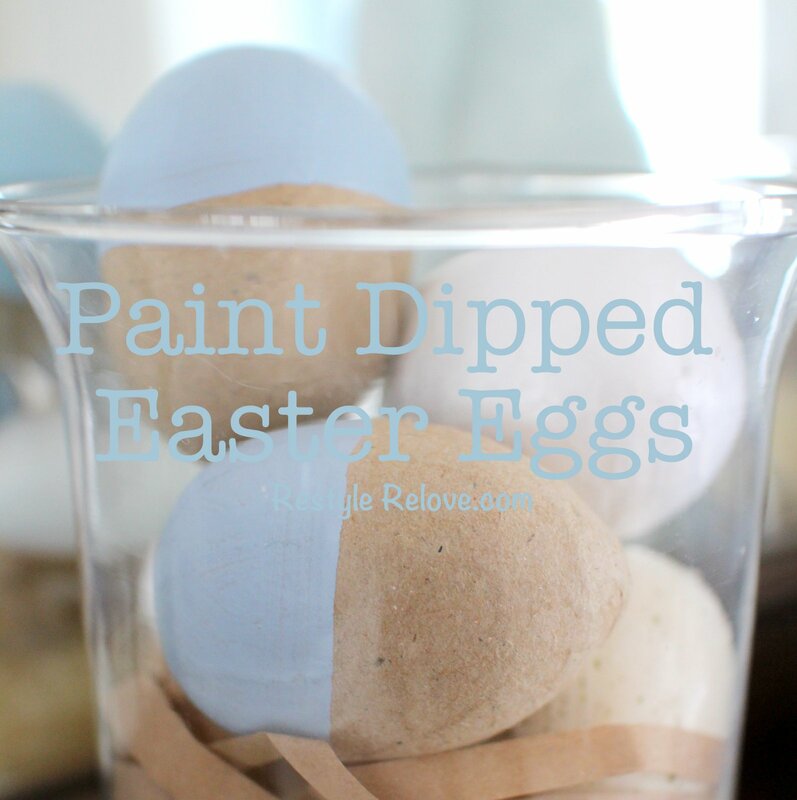 Then I popped them into two glass hurricane jars. 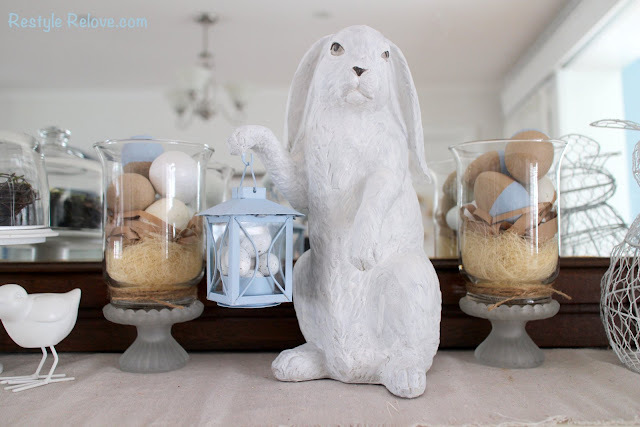 They form part of my Easter display on my sideboard in the dining room. I'll be sharing my full Easter Home Tour tomorrow!